The Grid Pad Eye is a communications device that also acts as an environmental control unit for disabled individuals, specifically quadriplegics. 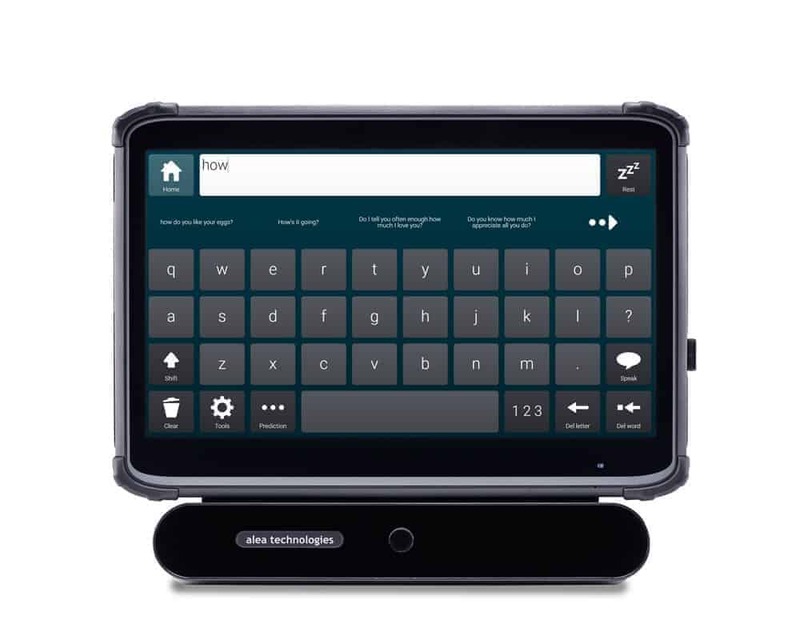 The Grid Pad Eye is an advanced piece of adaptive equipment for quadriplegics, featuring a 13”screen and equipped with the powerful Grid 3 software. This high spec tablet operates on Windows 10. Perhaps the most attractive feature of these quadriplegic assistive technology devices is the integrated eye gaze access, which allows users to operate them using their eyes. The Grid Pad Eye feature flexible mounting, easy editing, advanced sound and Servus environmental control. Contact ASI today for a complimentary consultation and demonstration.